Some people take to the road simply to travel; to see previously unseen places. For many, life on the road goes beyond that. 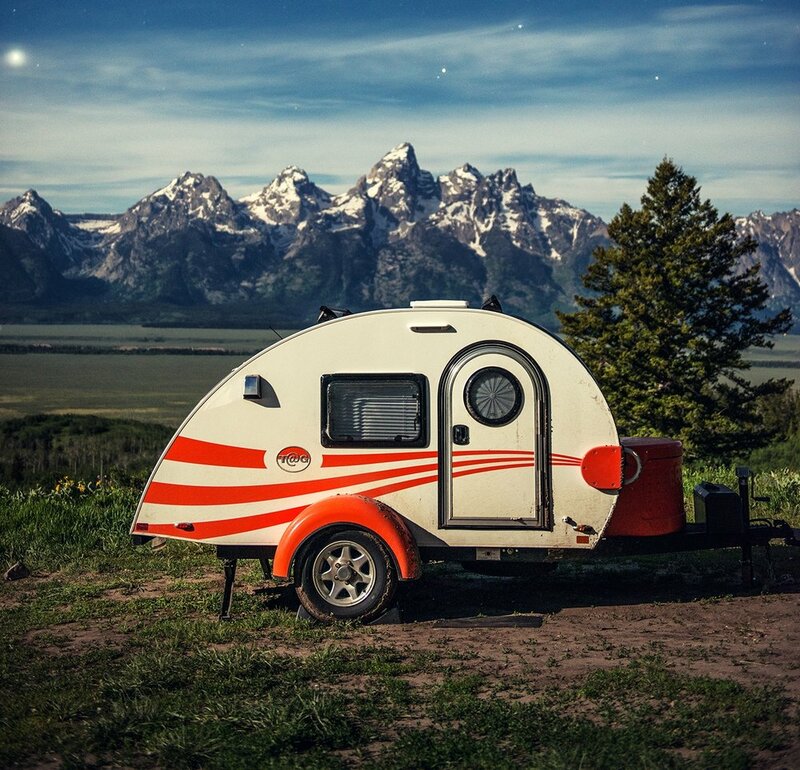 Photographer Mandy Lea has been traveling in her teardrop trailer for six months, and is on a journey of self-discovery, happiness and inspiration—and, of course, she's constantly amazed by the what she sees along the way. 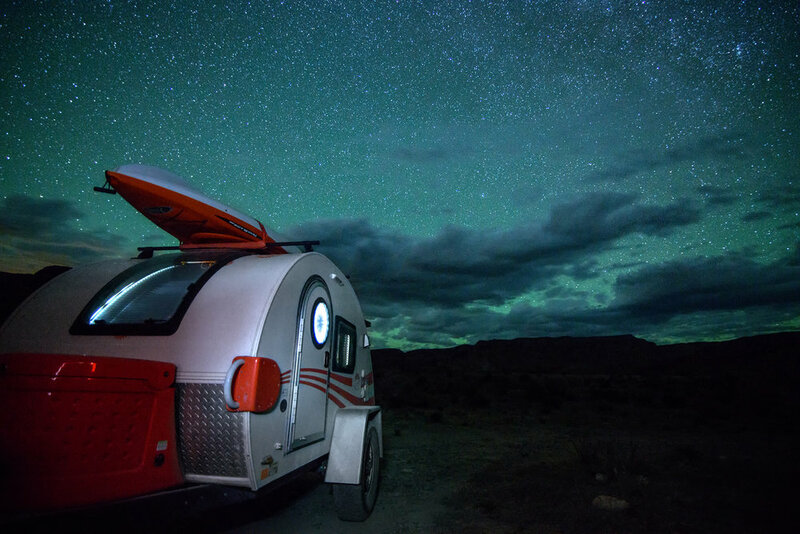 How would you describe your full-time RV life in three words? I am six months, 28 states, and 30,000 miles into an indefinite adventure of discovery leading to unknown destinations. When I was first getting rid of all of my belongings I began gifting furniture to friends, emptying my apartment bit by bit. My apartment was always my home until one week before I departed, the day I gave away my bed. The last week in my apartment was spent sleeping on the bedroom floor where my bed used to be, and it never felt like home again. Since then, I’ve thought a lot about the definition of my new home. Or more specifically “where I belong”. I have friends and family in various cities, but I grow anxious with too many days in a city. My heart pulls me to the road when I am idle, and I am instantly calmed with the open road in front of me. For now, my home is the open road, the empty forest, the quiet spaces in between. 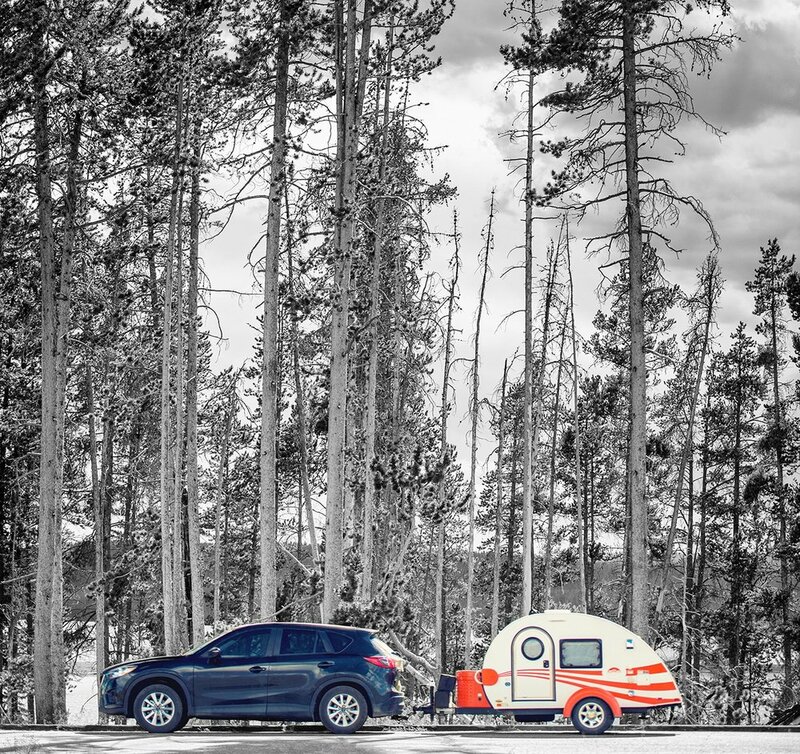 What’s the main reason you wanted to live on the road? What do you hope to gain from it? There are reasons beyond count for my nomadic life: live smaller for the world, live simpler for myself, change perspective, and grow as a human. But to be honest, if you find something that makes you happy, you should do more of that thing. 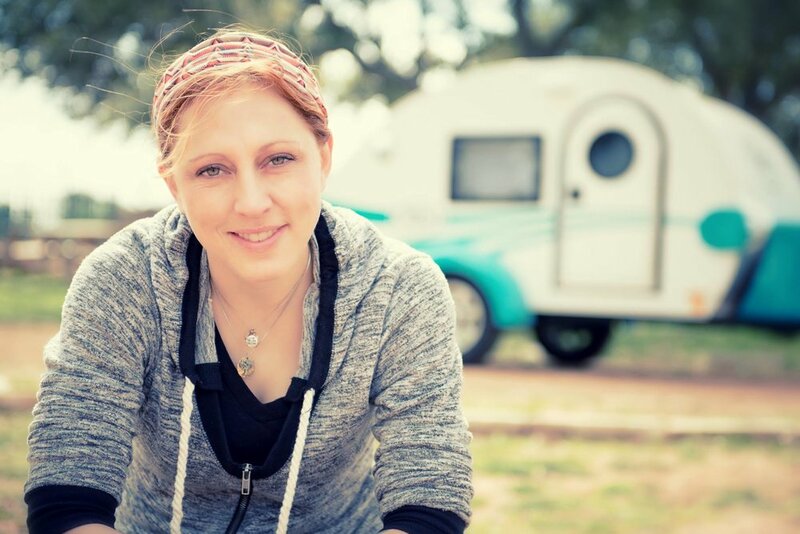 Living on the road was the change I needed to bring myself to a place of contentment that I had not felt in years. If we do not first take care of our own happiness, how can we ever hope to be that influence on those around us? I aim to build a life for myself where I can sustain a level of happiness within myself while still contributing in a positive way to the world around me. I want to show people things they do not normally get to see, to inspire them to do things they would not normally do. You travel alone—what do you do to ward off loneliness? I talk to myself. Out loud. A lot. If I’m feeling down, I’ll give myself a pep talk. If I did something awesome, I’ll congratulate myself. And if I’m feeling wise, I’ll give myself advice. I’ve even been known to crack myself up over my own joke. For the most part this helps to keep the loneliness at bay, but every now and then it can be all-consuming. During these times I focus on a list of the things I am grateful for. Without a doubt this list outweighs every ounce of self-doubt or loneliness. How difficult is it to full-time alone as a female? Most of my difficulties do not stem from being a female, but simply from being human. As long as you have a reasonable amount of common sense, listen to your gut, and make generally smart decisions, there is very little you can’t overcome. You say that you’ve fallen in love with yourself again since you hit the road. Why do you think that is? Within the first week of travel I realized that I was going to be spending a whole lot more time with myself than I ever had before. My entire life I had been so focused on my relationships with other people, that I had never taken the time to get to know myself. As I began to spend more and more time inside the walls of my mind, I realized that no matter who I come across in life, I am the only one who I will always be stuck with. We are the only ones truly responsible for our own happiness. We may as well learn to love who we are, or become that which we can love. What are the most important things for you to have with you? My camera gear. Photography is not only my career—it is my passion in which I find purpose. I could have nothing left in the world but my camera and I would still find my way. My journals. I record my adventures, my thoughts and feelings, and the things I’ve learned. I recall my daily highlights, lowlights, and the things I’m grateful for. Those who join me in adventure contribute with the experience they had. By reflecting upon who I’ve been, I am able to become who I want to be. Good food. I am not on a road trip and I can’t treat my life as a vacation. Traveling can be difficult on the diet. Prioritizing a supply of healthy groceries and eating right is a necessity to sustaining life on the road. You’re a photographer. Are there any regions of the US that really inspire you creatively? Everyone has a certain place on this planet that inspires them—a place where they feel just a little more connected to the earth than in any other place. For me, this is the mountains. Any mountain that I stand before, underneath its powerful presence, takes my breath away. Inspires me to capture and share its majesty. The benefit of traveling is that it brings out an awareness of finding the beauty in every day. No matter what part of this country you are in, there is beauty in expressing the character of that land. There is no area that is not on my bucket list. Have you had any crazy/funny/scary experiences while on the road? In the last few months I have experienced more than I ever thought possible! From getting lost on midnight hikes to spraying myself with bear spray, there are never two days alike, and not one of them is dull! What advice would you give to someone who’s considering full-time RVing? Trust yourself. You got this. There will always be fears when changing your life. There will be a million unknowns, mistakes you will make. This is not something you can avoid, but you can overcome. Make the most of every mistake by learning its lesson. Keep an open mind. Expect bumps in the road. Step over them with grace. 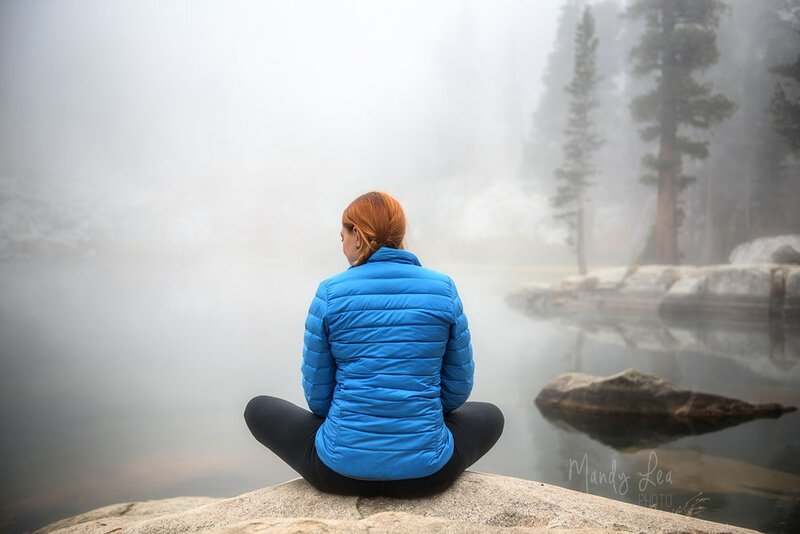 To connect with Mandy, see her photos and follow her awesome adventures, visit her website at www.mandyleaphoto.com, or get social on Facebook, Instagram and YouTube.